Today Room 20 had an important job to do. 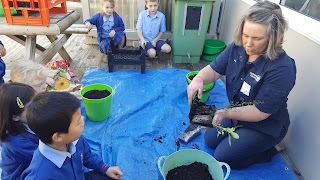 It was our 7th Enviro Day for the year with Mrs Daniel & the seedlings the school has been growing for the Trees For Survival programme were ready to be transferred into bigger containers. 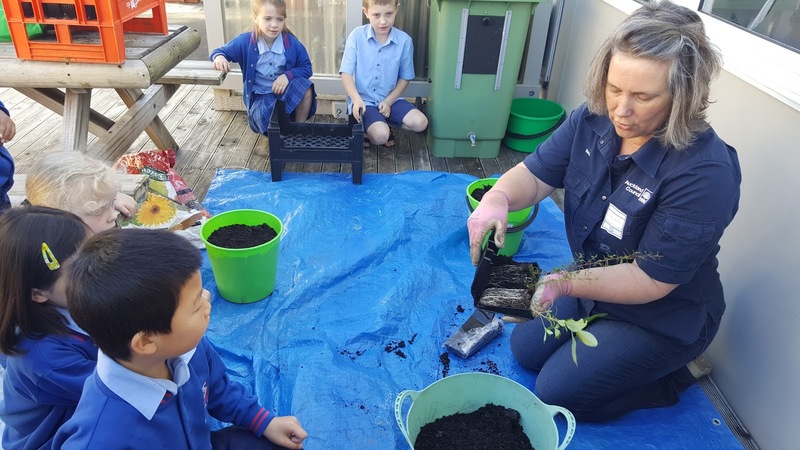 Linda from Auckland City Council came to show us what to do. Everyone took turns filling bags with potting mix, taking seedlings from the root trainers and tucking them in tight. 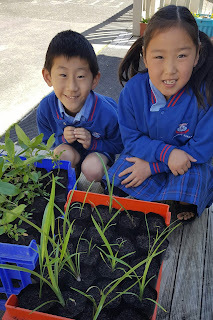 We used our maths skills to work out how many seedlings we had potted on; 133 after an hour and a half of hard work! Well done us! In 6 months, with lots of care, our plants will be ready to be planted out into the community. They'll be homes for birds and insects. Olivia said, "We had to get our hands dirty and i had fun choosing my plant." 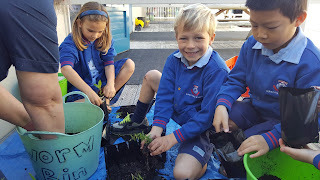 Dean wanted to plant all day. He said it was hard to work if it was a weed or not. Sienna liked potting on because it was messy fun. 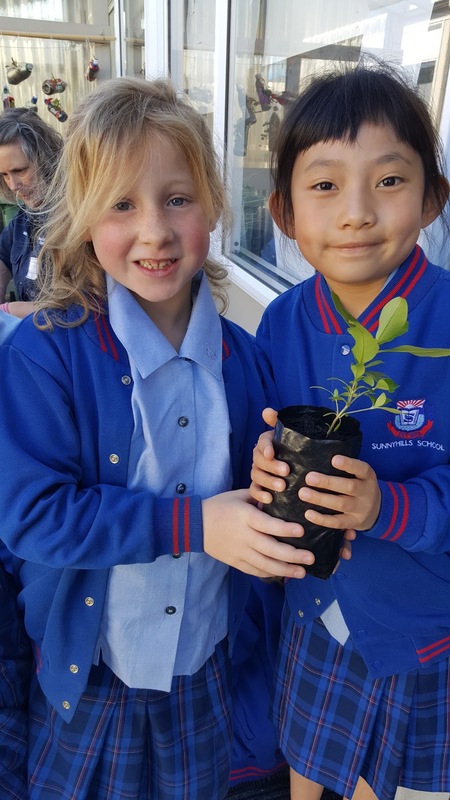 Hi Room 20, You have had a lot of fun at potting, Good on You for potting the trees. When is your next Enviro Day? Awesome job Room 13! Can you come and sort my garden out at home please? You are doing an amazing job!